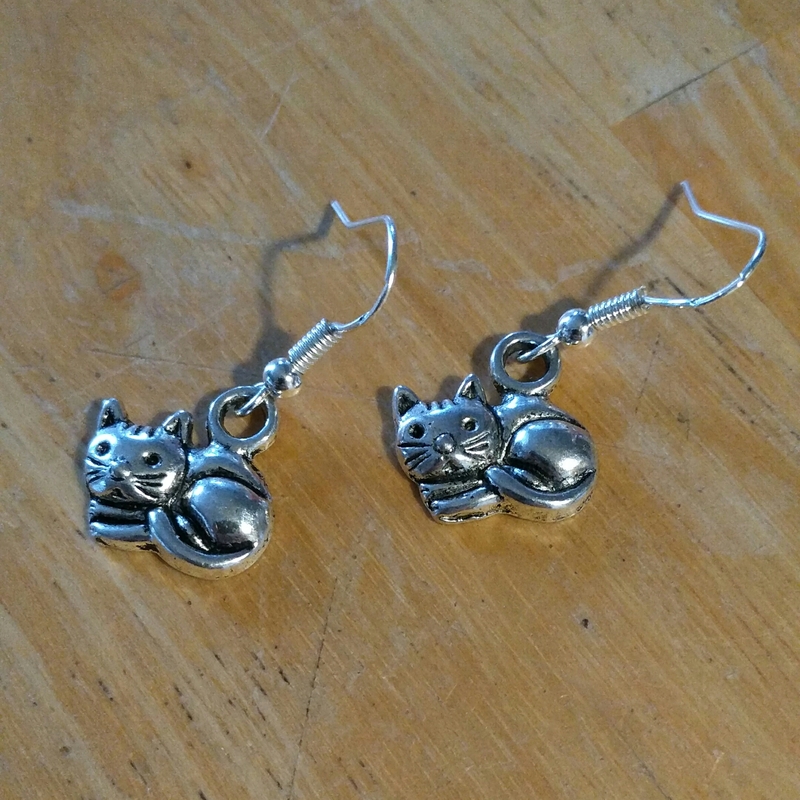 Perfect for the cat lover you know. 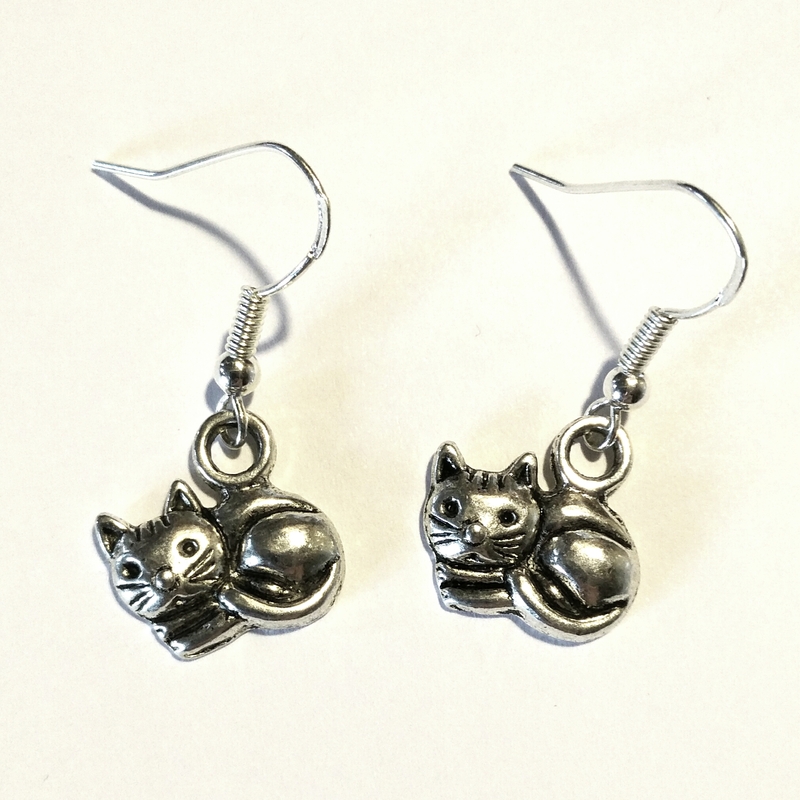 These darling cat earrings are a great addition to the cat lover’s jewelry collection. They are dainty and lightweight, suitable for kids of all ages. 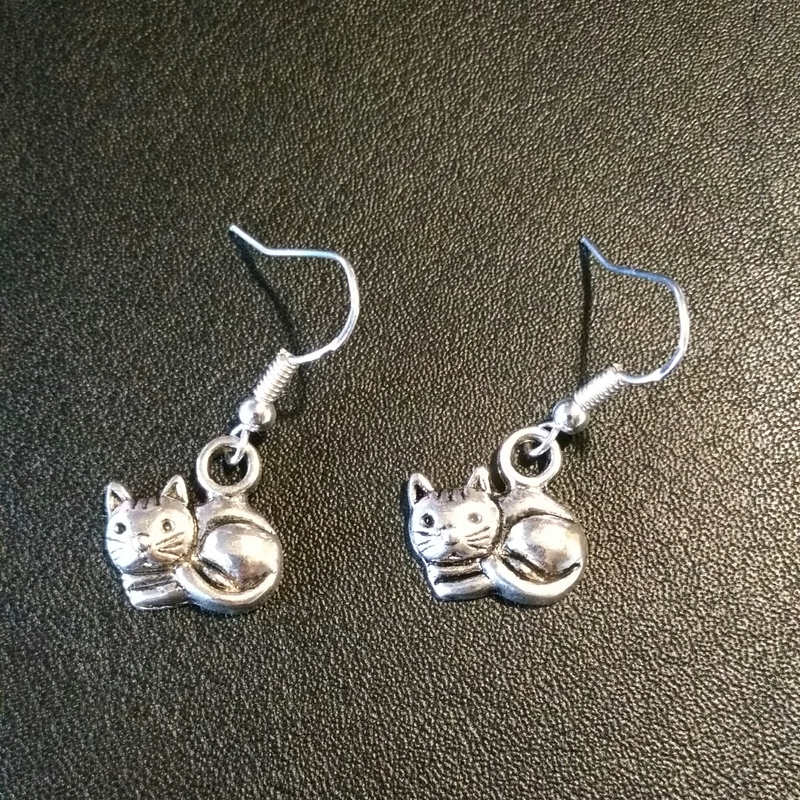 Silver-alloy charm on .925 sterling silver french hooks. 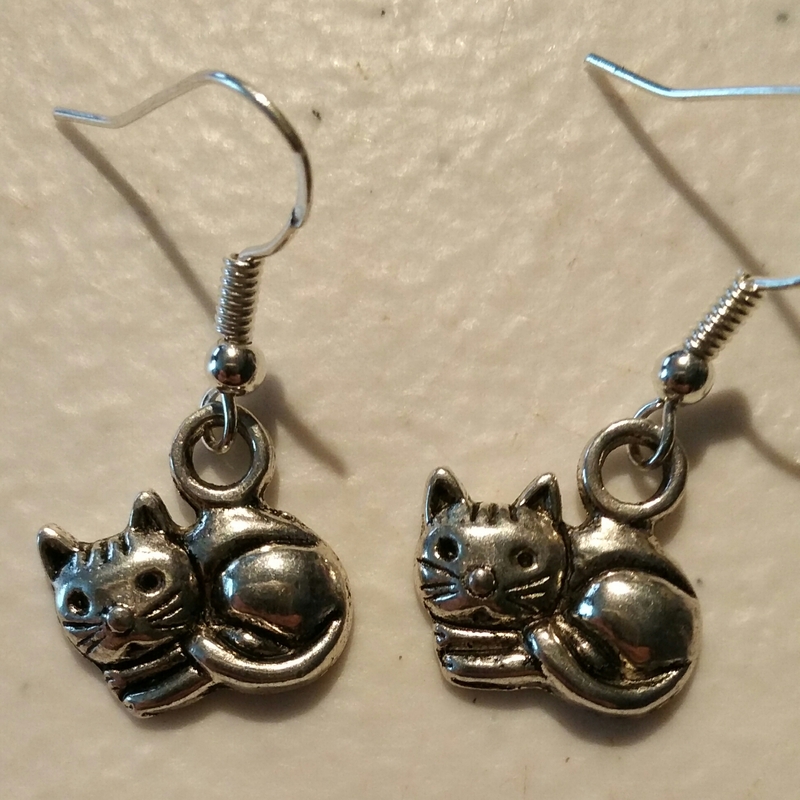 Safe for most sensitive ears.